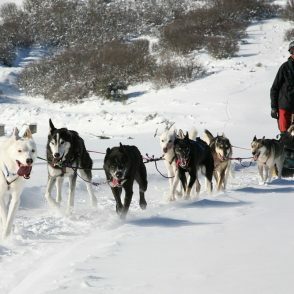 SORRY, DUE TO DETERIORATING TRAIL CONDITIONS DOG SLEDDING HAS BEEN CANCELLED FOR THE REMAINDER OF THE SEASON. WE DO HAVE AVAILABILITY FOR SNOWSHOEING, FLY FISHING AND CROSS COUNTRY SKIING. PLEASE FEEL FREE TO CALL WITH ANY QUESTIONS, THANK YOU. 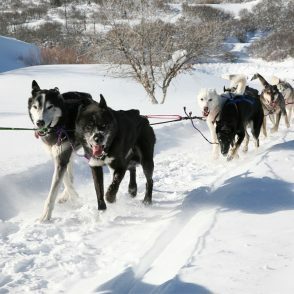 Enjoy Dog Sledding only 15 minutes from Main Street! This is a unique adventure for the whole family with children three years of age and older. 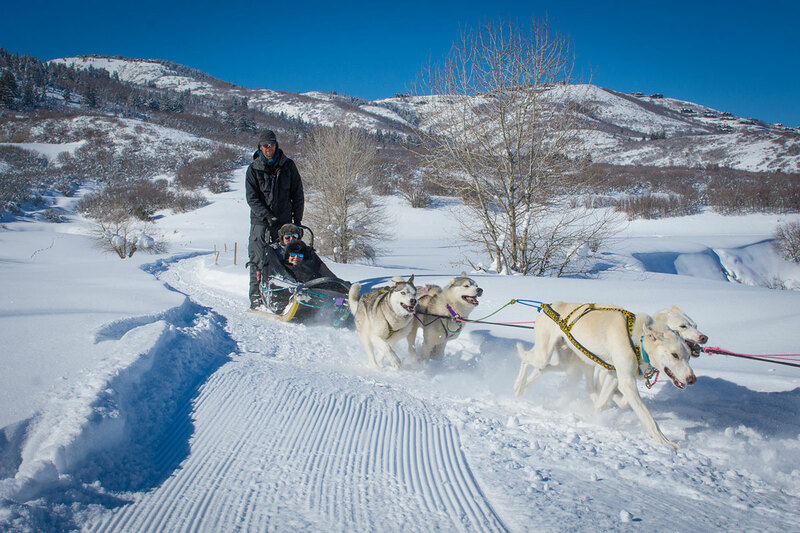 Glide through the snow-covered meadows of the Wasatch Mountain Range in a dogsled pulled by a team of Huskies. 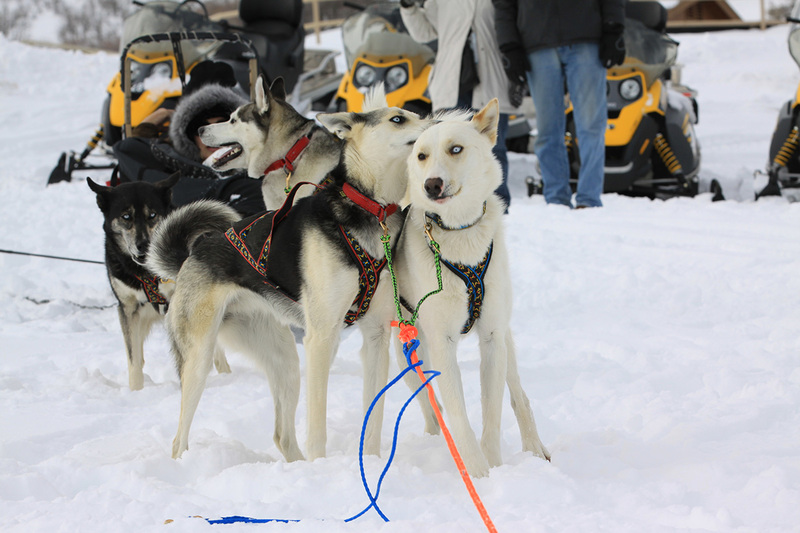 Children will enjoy meeting all of the friendly sled dogs and the future racing pups. These dogs love what they do! Many have a second chance at life having come from rescue shelters. 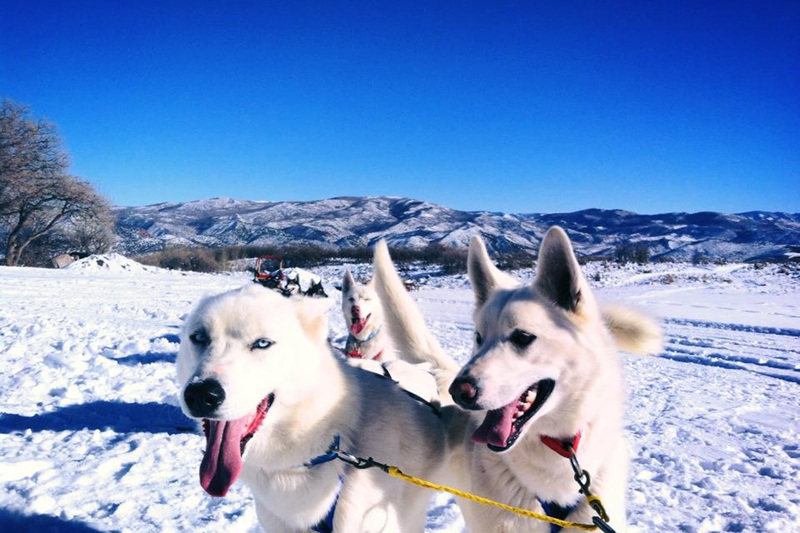 Check out the Arctic Breed Rescue of Utah to learn more. 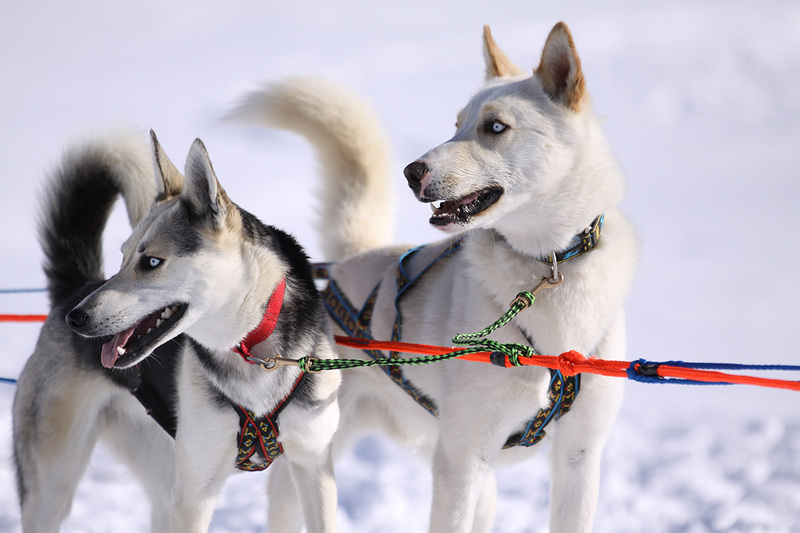 We offer two different dog sledding experiences. 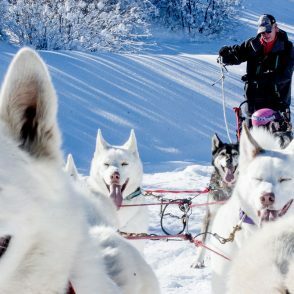 The hour long experience involves meeting our musher, a brief intro and our longest duration ride followed by plenty of face time with the dogs. They will all be expecting a treat following the run! 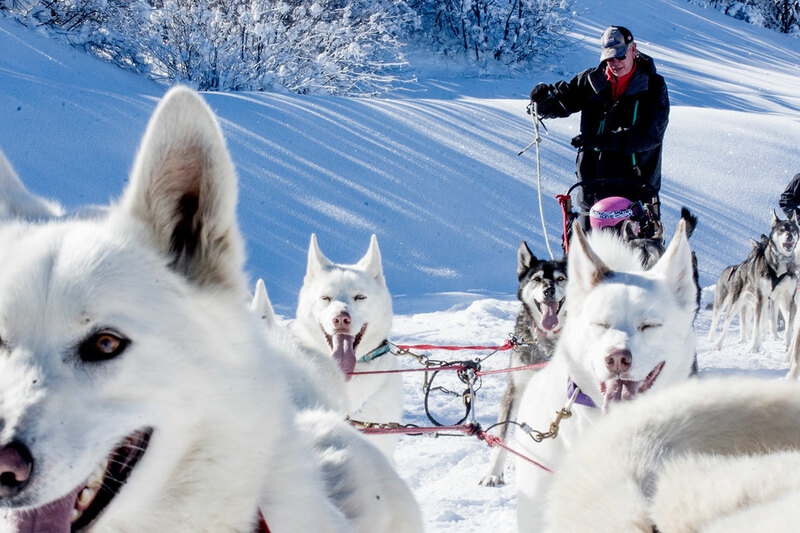 This ride normally last 50 minutes to 1 hour, time varies due to varying conditions and the dog's energy expenditure. The split ride is two rides averaging 25 minutes each. 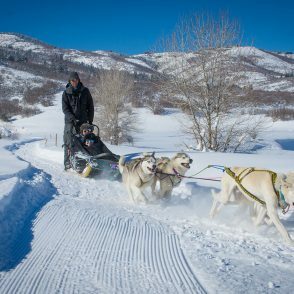 Each sled can accommodate up to 350 lbs, typically two adults or an adult with two small children. *Weight limit is strictly enforced* We recommend dressing for the weather and applying sunscreen before the adventure. Remember to wear warm layers, winter footwear, hat, gloves and sunglasses or goggles as the dogs do tend to kick up a bit of snow. After your ride you can help hand out treats and take pictures with the team! 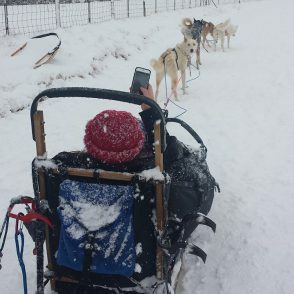 Racer Gibson is our go to musher! 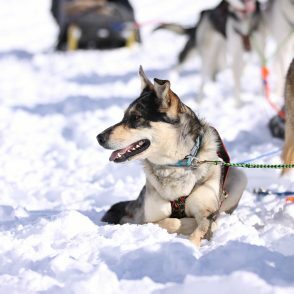 He has been mushing for All Seasons Adventures for 9 years. 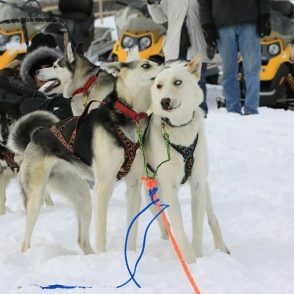 When he isn’t mushing he can be found in Racer’s Cycle Service or helping his wife, Maren, run Arctic Rescue. 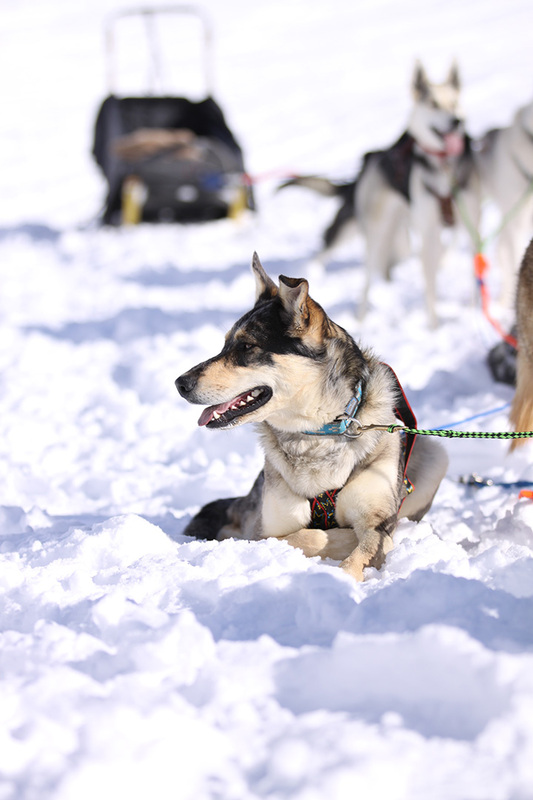 They started mushing as a way to exercise their rescue dogs, once they had enough to put together a small team. From there the passion and number of dogs has steadily grown. 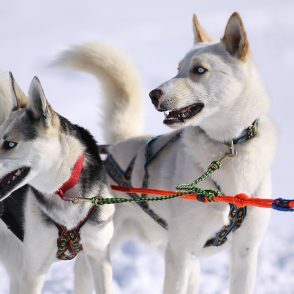 Racer and Maren started by rescuing sled dogs from local shelters and then founded the Arctic Rescue. 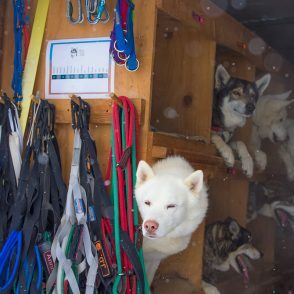 Arctic Rescue saves more than 100 dogs a year--usually Siberian Huskies, Alaskan Huskies, and Alaskan Malamutes--as they specialize in helping to place adoptable dogs in good homes and take care of unadoptable dogs. 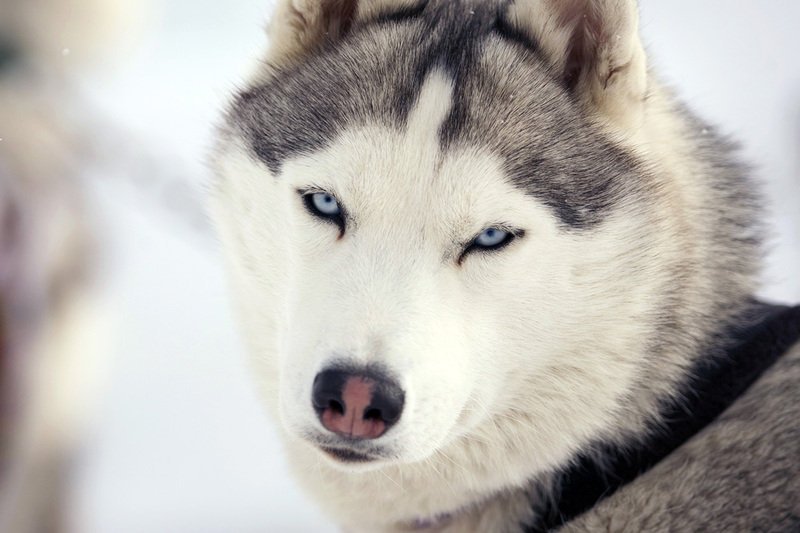 They are unique in our commitment to these breeds and seek to work with local shelters and other animal agencies to find the best solutions for dogs and their caretakers. 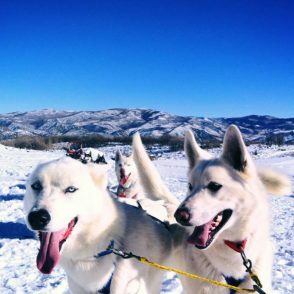 Our location is easy to find and only fifteen minutes from Main St. Park City, we recommend leaving a half hour prior to the tour. We do offer round trip transportation from your lodging in town for an additional fee. We will come pick you up, take you out to our location and the driver and vehicle will stay while you are enjoying your ride. We offer an rides at three different times, four days a week (Sat, Sun, Tues, Thurs), 10am, 12pm and 2pm. 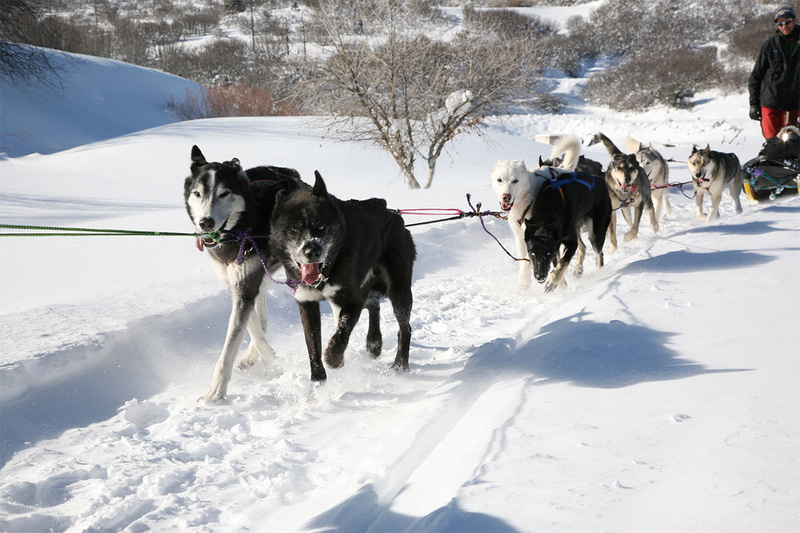 Our sleds can accommodate two adults or one adult and two smaller children, approximately a 350lb weight limit. Kiddos need to be at least three years old to ride with us. If you have a family of four the split ride is a great choice. A split ride is two 25-minute consecutive rides that can accommodate more people. 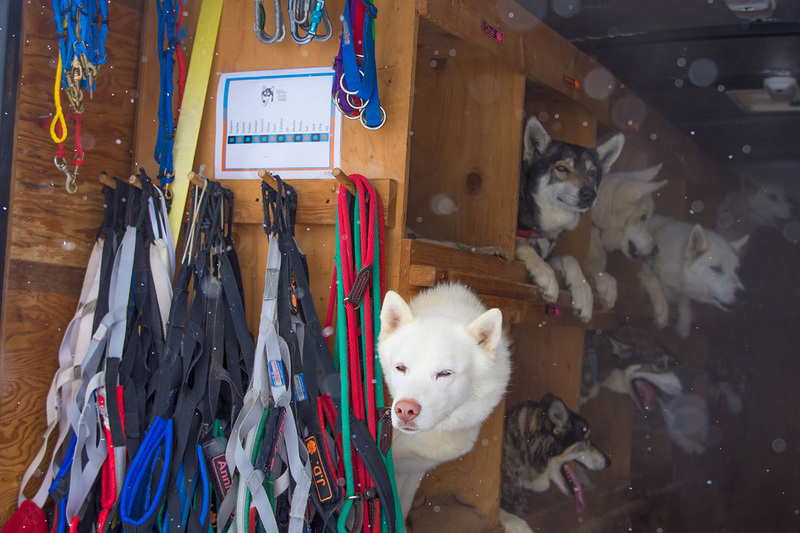 Once arriving at our location, you will meet musher Racer and his family of sled dogs. 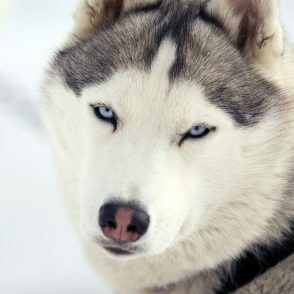 He will get you situated in the sled and start connecting the team to the sled. Once all dogs are properly attached you will be off on the trails! After the tour you will have the opportunity to give treats to each dog as well as give them more love, pets and take photos! 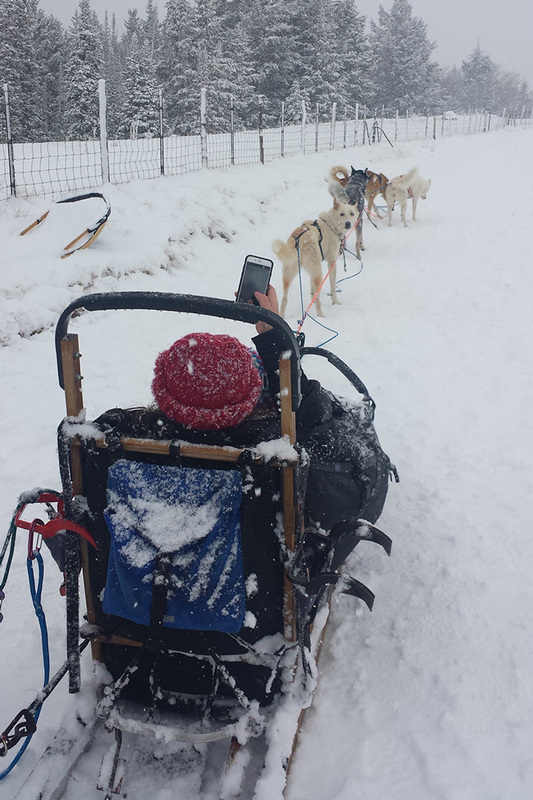 Dog sledding doesn’t require you bring technical equipment, all you need to do is come dressed for the weather! We recommend wearing ski gear so you stay warm while out on the tour. 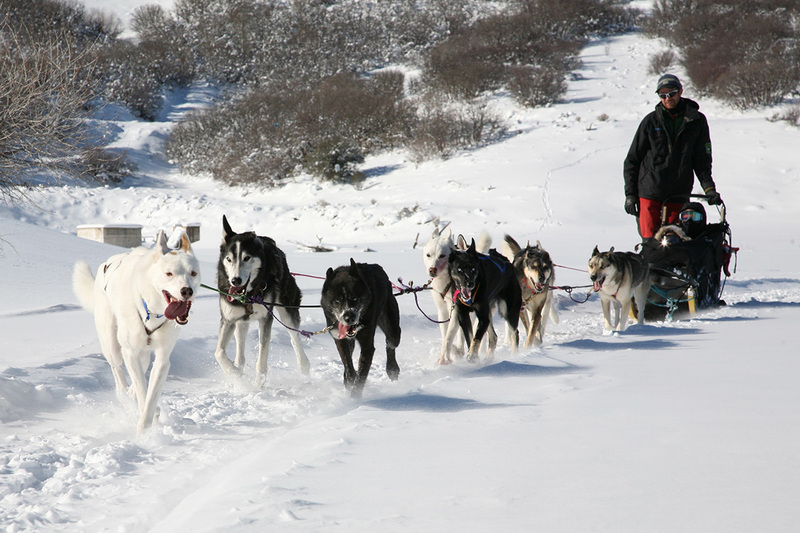 We also recommend bringing along ski goggles or sunglasses because the dogs do tend to kick up some snow. Finally, you will want to make sure to bring your camera so you can take pictures with your favorite dogs!